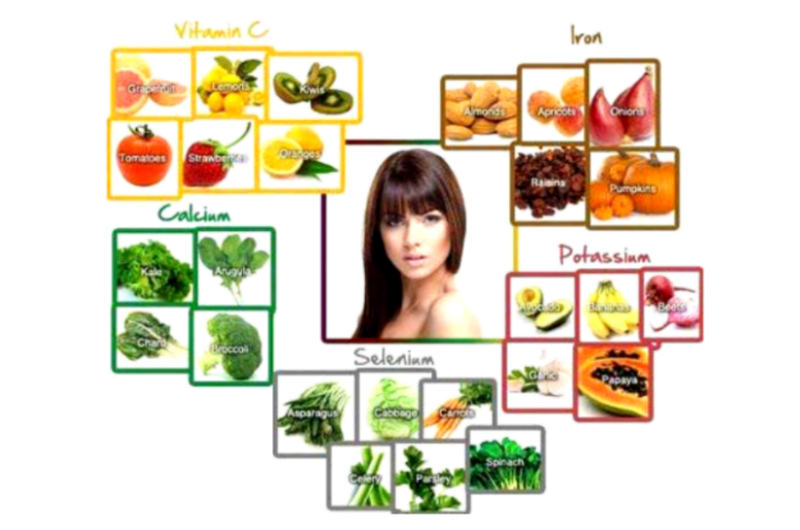 These 5 foods nourish your hair from the inside as they contain the highest source of vitamins such as C, E, and K which helps to strengthen the hair and prevents it from being thin and brittle. They contain essential fatty acids that nourish the scalp. They are a good source of zinc, sulfur, vitamins C, E, and K. They contain the amino acid Cucurbitin which helps hair to grow. You can easily add them to oats, smoothies or eat them for a snack. They are high source of calcium, potassium, fiber, vitamins B1, B2, B6, K, and C. They contain the highest amount of beta carotene which makes your hair shiny. They are full of silicon, sulfur and vitamin C.
The egg including yolk contains Vitamin B12, omega 3, zinc, and iron. They contain iron and helps to prevent dryness.